When you think of an outdoor kitchen, the first thing that comes to mind is a “big grill”. That may have been the old way of doing an outdoor kitchen, but today’s outdoor kitchens are getting more and more sophisticated. Consumers expect more out of their outdoor kitchens than just a grill and some counter space. The list goes on and on. 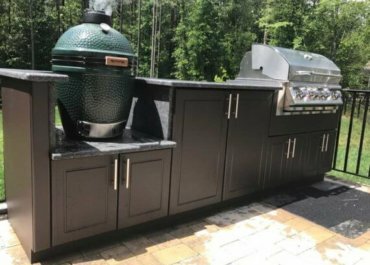 The only limit to today’s outdoor kitchen is the creativity of the homeowner and the company building the outdoor kitchen!